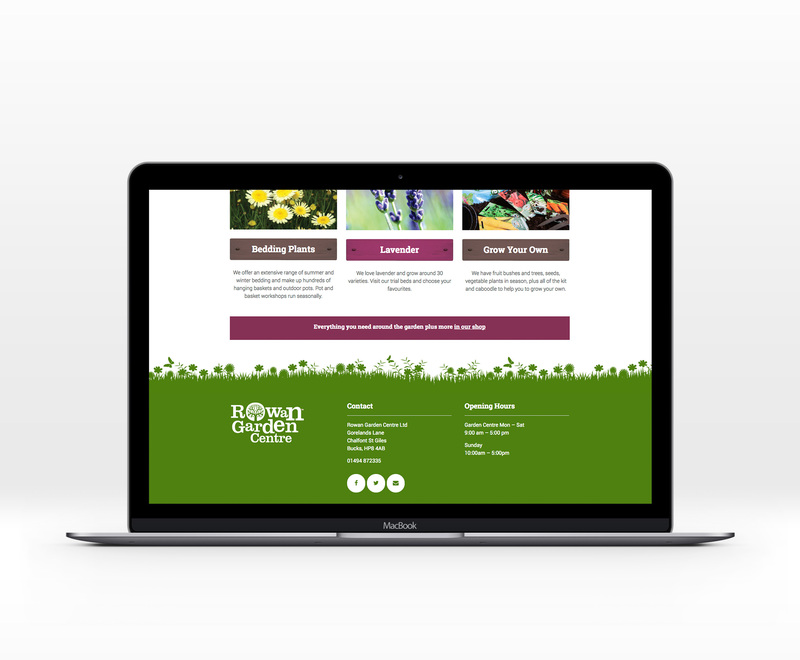 Rowan Garden centre are a small family run garden centre in the Buckinghamshire countryside. As they are a little way outside a town with not much passing traffic their website is a vital part of their marketing strategy. 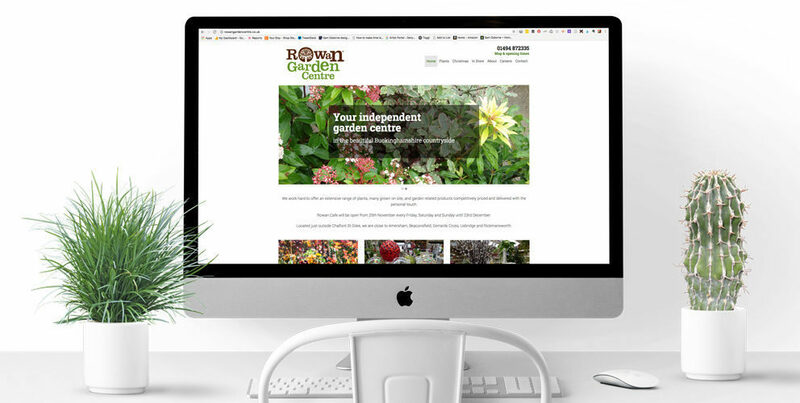 However, their old site was complicated and showing it’s age plus, due to the way it was built, the team were finding it hard to keep it up to date with new information and products – super important in a seasonal business. Using their existing brand we created a simple but effective site that showcases their unique selling points and can be adapted as their business changes and grows . 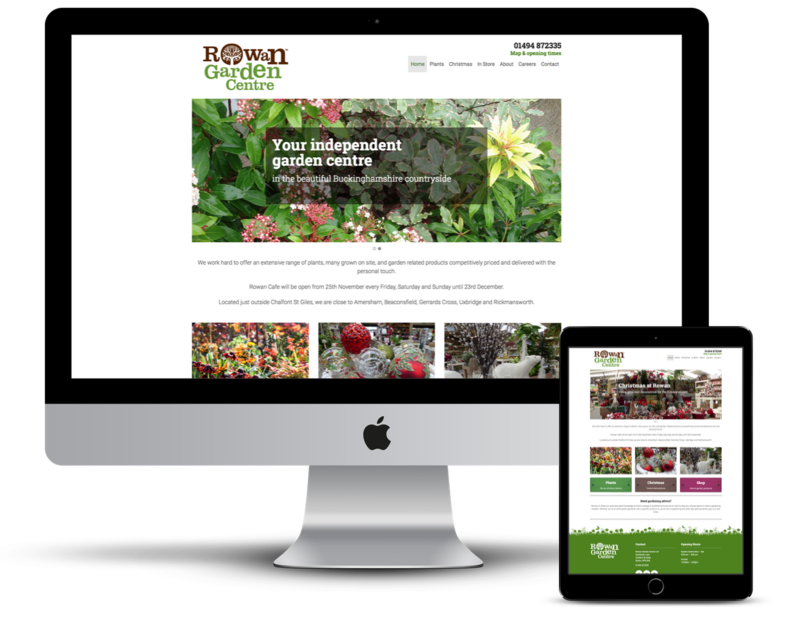 The site is built on WordPress which allows the Rowan staff to update the content without outside help. To ensure that they have all the knowledge they need to look after their site we ran a training session for key staff members and created easy to follow printed guides for them to follow in the future or pass onto new team members.